Sweden’s Lil T-Shirt recently dropped a new music video for his track “Summer” from his latest album Flowers/Lovers. A miminalist and sparse track, the song blends modern hip hop, R&B, and electronic music to create something that will appeal to a wide array of fans. Summer is the dark ending to a love story – a young woman drives her lover out to the countryside to have him killed by her friends. We don’t know why, if he knows what’s about to happen, if he goes willingly or not, or what has happened between them. We will never know. Summer provides mystery. My inspiration for the film is the Scandinavian melancholy that the very short summers provide before we return back to darkness. The film takes place in dreamy beautiful landscapes where everything should be peaceful and happy, but something feels unsettling. I wanted to include a subtle nod to old pagan traditions where sermonic sacrifices were made to keep the Gods satisfied. 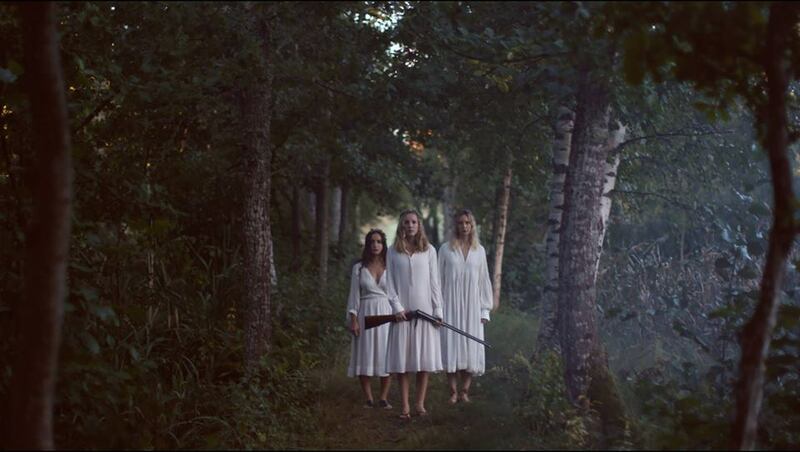 I also wanted to work with a subtext of sisterhood where women unite and help each other out no matter the situation. I wanted the film to reflect both the beauty and the sadness of the song. The song is also available on Spotify and Soundcloud, for those less visually inclined or looking to add it to your playlists on those services. It’s a great entry way into the world of Lil T-Shirt and the video is trul a piece of art.